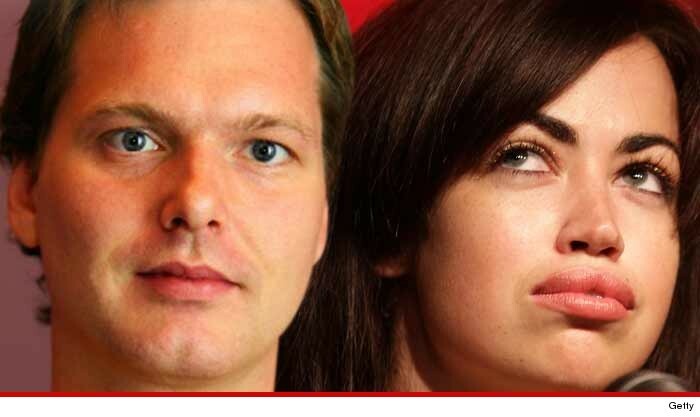 Skype Founder Sues Ex We Had a Bad Connection Now I Want My Ring Back!!! Skype Founder Sues Ex-Fiancee -- We Had a Bad Connection ... Now I Want My Ring Back!!! The guy who co-founded Skype -- and sold it for $2.6 BILLION -- claims he got the picture when he found out his fiancee allegedly cheated on him, and now he's suing to get the ridiculously expensive ring back. Janus Friis claims in a new lawsuit, he got engaged to Maria Louise Joensen -- ﻿a Danish recording artist who goes by Aura Dione -- back in 2013. As a symbol of his love, he gave her a $471,000 engagement ring, an apartment and cash, but claims there were strings attached to the gifts ... they had to seal the deal. Friis claims he learned she had "multiple affairs and sexual encounters with other men" and broke off the engagement. So now he wants his stuff back. If Maria's holding on to the ring, it's pretty obvious why ... Janus describes it as a 950 Platinum band inset with a number of diamonds, including a 1.76 ct round brilliant cut diamond -- D color, internally flawless, excellent symmetry and cut grade. The ring also has a pair of blue pear shaped diamonds of South African origins with a collective weight of .91 ct.
Friis wants minimum $1 million.